This is the last in the series on tropical and subtropical fruit. These two photographs are shared by Friedrich K of Heidelburg, Germany, aka fuchsiafred@Flickr (Daniel, April 17, 2011: links to individual original images are dead, so removed) | BPotD Flickr Group Pool). Friedrich had put together a small series on these bergamot oranges (also now removed) to illustrate the making of a traditional liqueur flavoured by the rind of these citrus fruits. 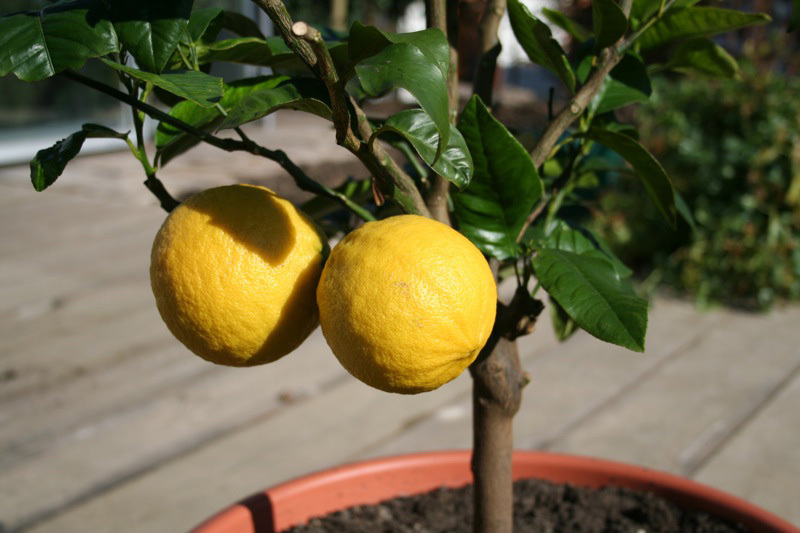 The origins of Bergamot orange are unknown, according to an industry web site, Consorzio del Bergamotto: Reggio Calabria (warning: Flash site). The industry site lists experts having traced its origins to places such as China, Greece, Spain (near Berga) and Turkey — and then fancifully suggests it is of mythical origin as a spontaneous mutation discovered in the city of Fata Morgana, a mirage city purportedly observed in the Strait of Messina (between Sicily and Calabria in Italy). Whatever its origin, somewhere around 90% of the world’s production of Bergamot oranges occurs in Calabria. The economic uses of Bergamot orange are not restricted to flavouring traditional liqueurs, though. Prominent among its modern applications is its use as the major flavouring ingredient for Earl Grey tea. 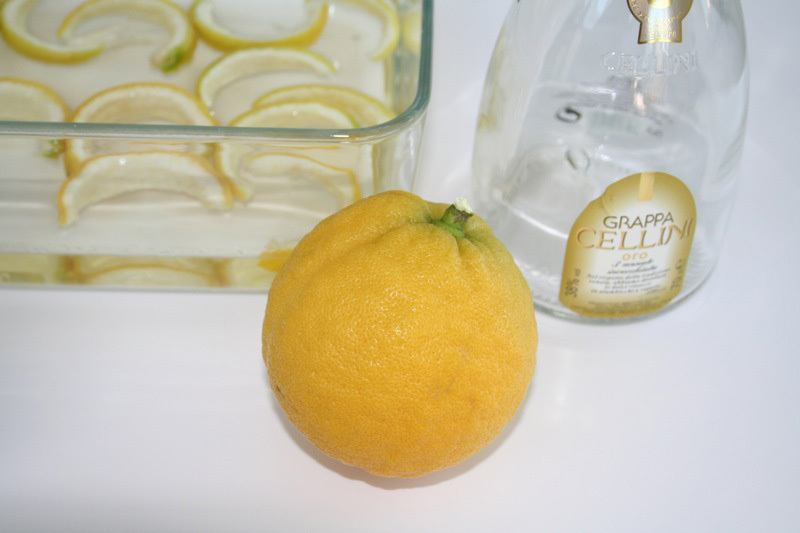 Historically, oils were also extracted from its rind in the production of the original Eau de Cologne (the oil from the petals of Citrus aurantium, the sour (or bitter or Seville) orange are also used). Unfortunately, there have been some consumer difficulties with the oil from the Bergamot orange rind – turns out it can discolour skin and cause burning when exposed to light (i.e., it is phototoxic). The industry is fighting against the trend toward using synthetic Bergamot oil replacements by finding alternative uses for the fruits, such as oils for aromatherapy, juices and marmalade. A word of caution I should add from Mabberley’s “The Plant Book”: he notes that the rind oil is allegedly carcinogenic. The PAN Pesticides Database lists its carcinogenic properties as unknown (it is also used as a dog, cat and insect repellent). Interestingly, I’ve heard that limonene, an aromatic compound that has the distinction of being the most abundant organic compound in nature (it is a primary constituent of citrus oils, conifer resin, and many other essential oils), is carcinogenic. So it would not surprise me if all citrus fruits had carcinogenic properties. Thanks for a most enlightening post, since I drink a great deal of tea, including Earl Grey, and had always wondered what “bergamot” was. The component of oil of bergamot that is responsible for cutaneous toxicity is a 5 methoxypsoralen (a furocoumarin), bergapten, which when irradiated by UV light, causes increased melanocyte activity, leading to increased pigmentation. It is, in its acute phases, much like an exaggerated sunburn, and then leads to increased pigmentation in the areas of skin exposed to the oil. Particularly pronounced exposures to adequate concentrations of bergapten and the right UVA light frequencies will lead to frank blistering of the skin. Bergapten and similar furocoumarins are naturally occurring component of various other fruits and plants, including celery (Apium graveolens), Queen Anne’s lace (Ammi majus), figs (Ficus carica), limes and lemons, and Russian hogweed (Heracleum mantegazzianum). The toxicity is not immunologic, and does not require a prior exposure to develop. Facinating! especially due to the fact that I had developed a belief that Mondara (Bee Balm or Bergamot) was the source for the Earl Grey flavouring “oil of Bergamot”. I stand corrected… Now to pass this information back through the grape vine, to those I has mistakenly schooled! Oops! Where can I buy a Citrus aurantium bergamia,in the United States ? I will grow it in a pot and bring it in for the winter. Carol, there are Citrus and Sourcing Plants forums on the UBC BG forums (see link above “Post a Comment” where you are more likely to receive a prompt reply. I want to buy the plant !!! Can u help me !!! Send it to me am mail and a reponse !!! Could you please tell me who discoverd Citrus Bergamia & Also how it was developed & How it is protected? This is the last chance I have to find out, Please please help me! !